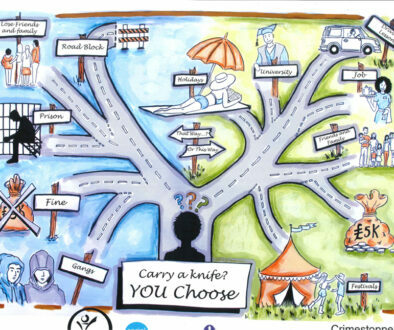 Where’s the Maths : Phase 2 goes live! You might remember “Where’s the maths” success stories from the last academic year, especially if you followed us on twitter @sthildasmaths. 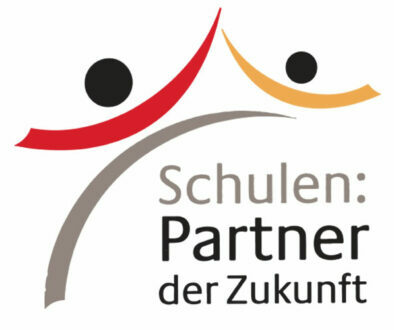 This school year, teachers who use maths skills in other subjects have been competing for house points and for number one spot on the leader board. 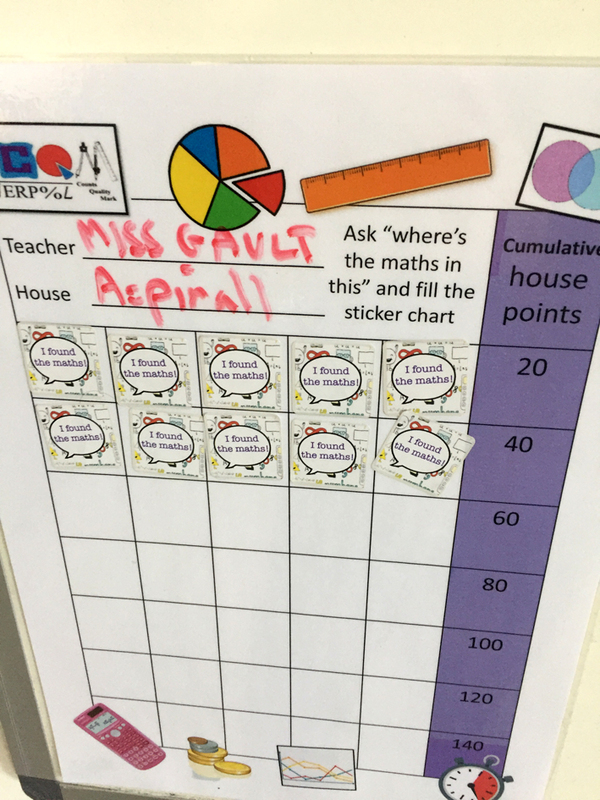 Within their classes are “maths spotters”: students armed with stickers to reward their teachers. 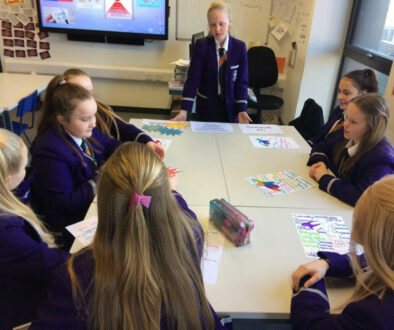 Enjoying their new responsibilities, some year 7 and 8 maths spotters reported multiple examples: adding fractions in music, working out degrees for circle sectors in art, using a stop watch in PE, bar charts in science, pie charts in RE, converting years to centuries in history and converting between minutes, hours and days in DT. The teachers are enjoying the challenge: “I’m really enjoying this, I’ve nearly 60 house points” declared Mrs McCann. “My mum will be pleased,” announced Miss West. 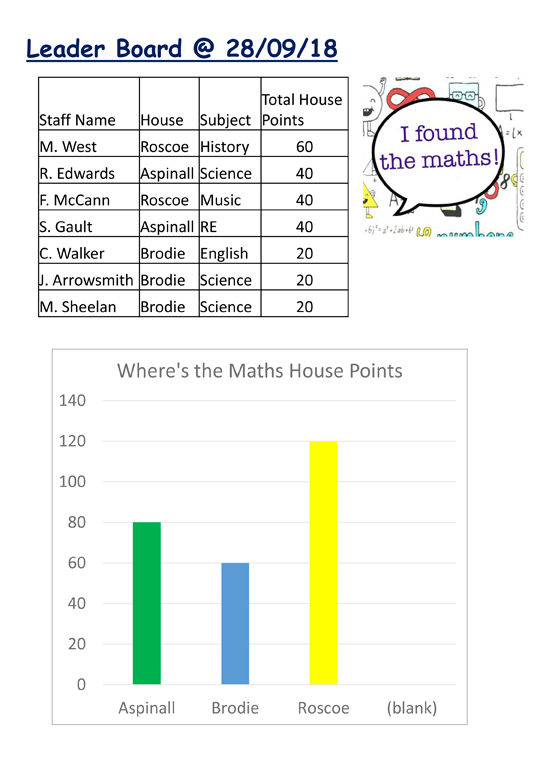 Students can see an up to date copy of the leader board on the maths display board in the foyer, and any wanting to become maths spotters should come and see Mrs Murray in room 301.